Create an adorable keepsake with your favorite Mother Goose nursery rhymes with beautiful, original illustrations…personalized just for your child! 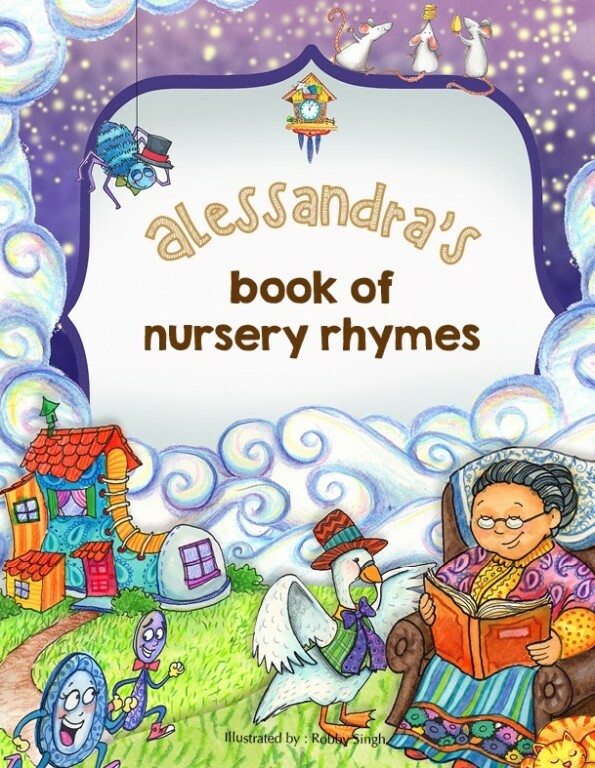 Bring all the characters from the best loved nursery rhymes to life in a wonderful collection of 21 Classic Rhymes. Humpty Dumpty, Three Blind Mice…and so many more classic nursery rhyme characters will come to life with colorful illustrations in one delightful collection! Your child will learn to love these classic rhymes, as well as get to see if they can spot their name in the pictures throughout the book! This 24 page storybook is stunningly illustrated by Robby Singh. Each 8 3/8" x 10 3/4" professionally bound hardcover book is personalized throughout the text and illustrations with the child's name. As an added personal touch this book also includes the child's birth date and a printed dedication from the sender. This precious keepsake is a perfect gift for boys and girls ages 0-12.